Living Next Door To A Legand! 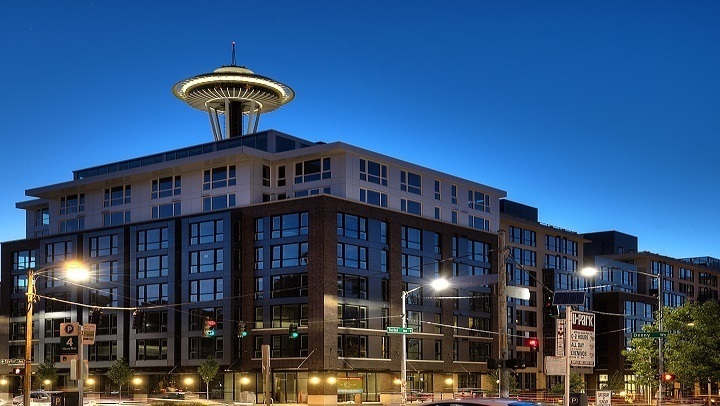 Living at The Century means living next door to the symbol of Seattle that is recognized around the world. 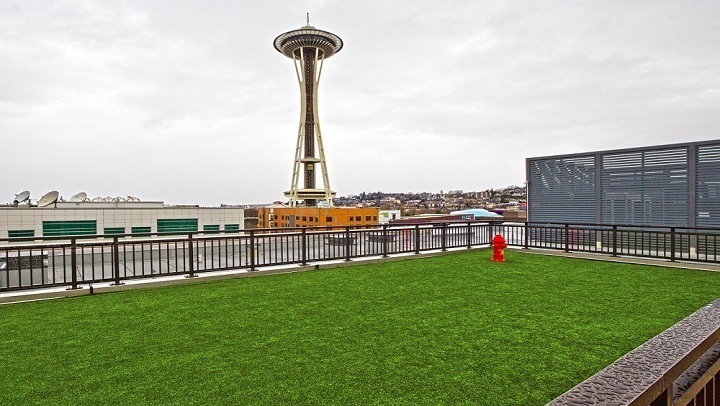 The Space Needle is not your average neighbor - we are not really running over to borrow a cup of sugar or anything. But there are other advantages to lving across the street from this well known Seattle symbol. For one thing, it makes giving people directions to your home pretty simple. We hate to brag but we cant help ourselves. 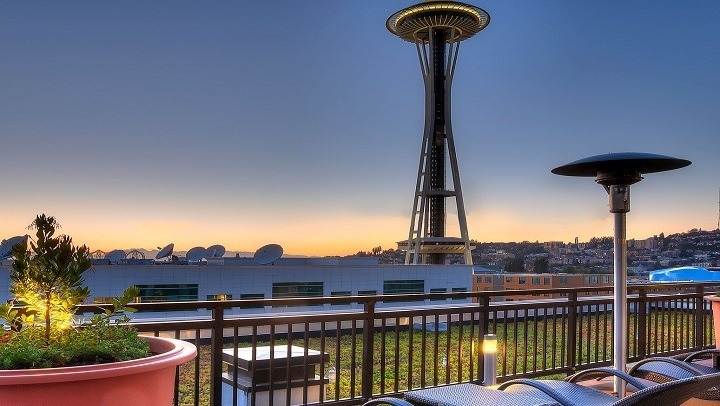 There is simply no better view of the Space Needle in town than the one from our apartments and our roof top deck. You can almost reach out and touch it. OK, you would need pretty long arms but you get our drift. We are really close. Did you know that the design for the Space Needle was originally sketched on a napkin? It went through many variations before the final design was determined, with one version resembling a tethered balloon. You can learn more about the history of the design here. Even the dogs who live at The Century get to enjoy the Space Needle when nature calls. Our pet relief area gives the pups a beautiful view. 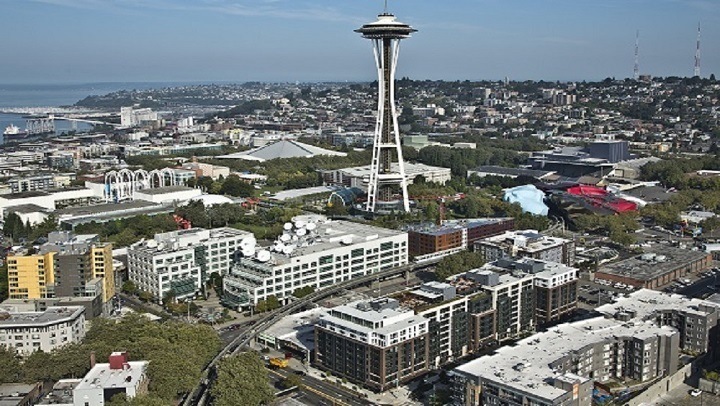 Here are a few fast facts about the Space Needle to impress your friends. It was built in 1962 for the World's Fair. It stands 605 feet tall. The elevator trip to the observation deck takes 41 seconds but it slows down on really windy days. Speaking of the Seattle Worlds Fair, did you know that it was actually known as the Century 21 Exposition? And yup, you guessed it. That's where we got the name for The Century. We thought it was a perfect match for the neighborhood.